Someone’s managed a screen-grab of Edinson Cavani’s expression from the bench as he watches Paris Saint-Germain fall behind against Manchester United. It’s fair to say the Uruguayan looks just about as stunned as everyone else tonight as United look like potentially staging the most unlikely of comebacks. The Red Devils lost 2-0 at home to PSG in the first leg of this Champions League tie, and went in to tonight’s big game with a long list of injuries. 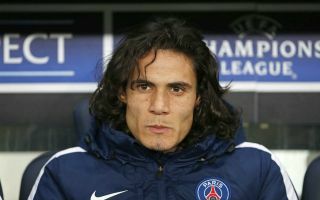 Cavani is among those missing for PSG, though he could make an appearance later after returning to the bench tonight, but he’s not enjoying what he’s seeing!